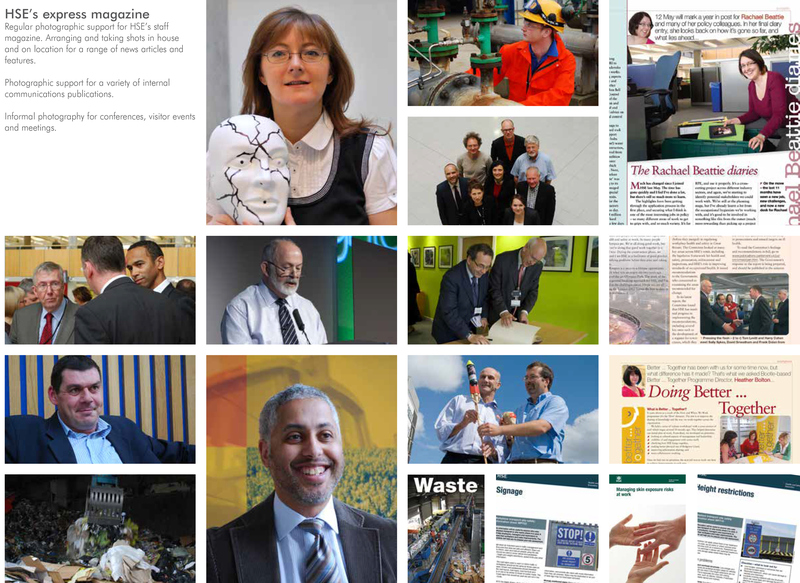 Regular photographic support for HSE’s staff magazine. Arranging and taking shots in house and on location for a range of news articles and features. Photographic support for a variety of internal communications publications. Informal photography for conferences, visitor events and meetings.